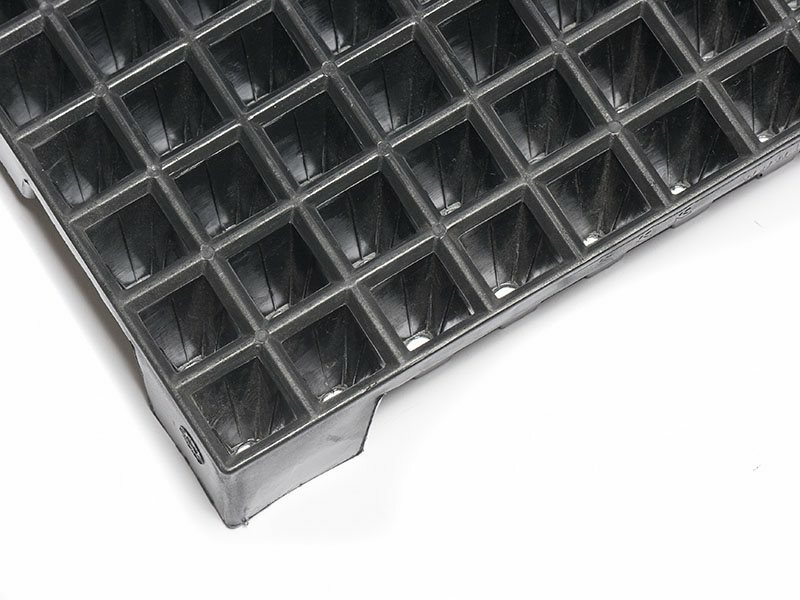 Designed to replace the 128 cell thermoformed tray. 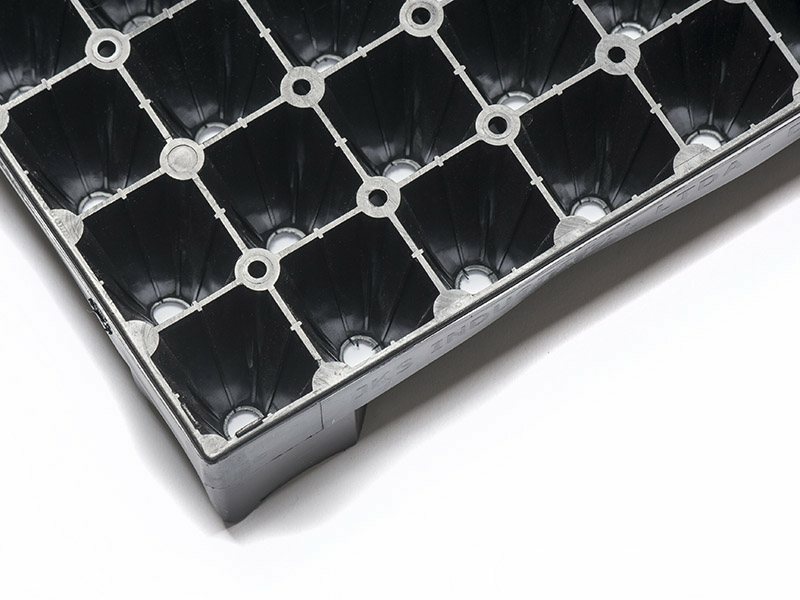 Injection molded design allows 12% more cells in the same space without compromising plant quality. Internal vertical root training ribs. 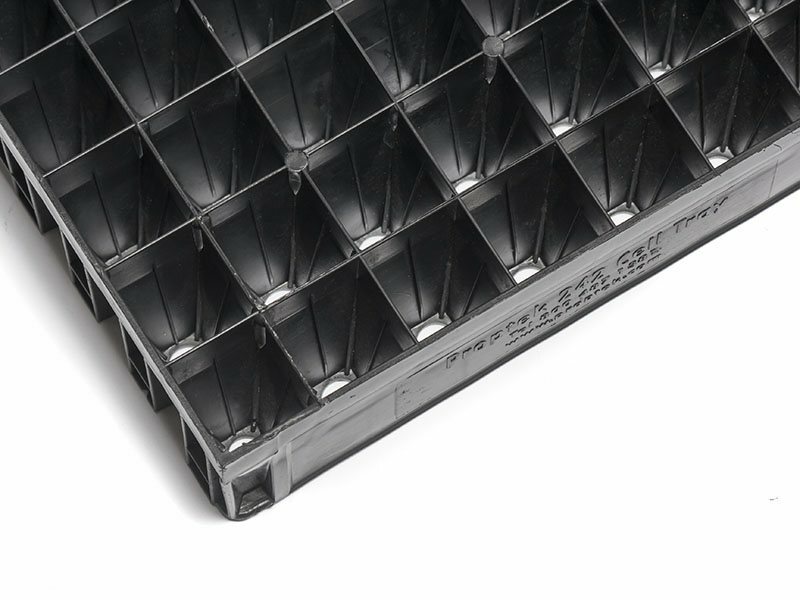 Nesting design to reduce cost per part on shipping. 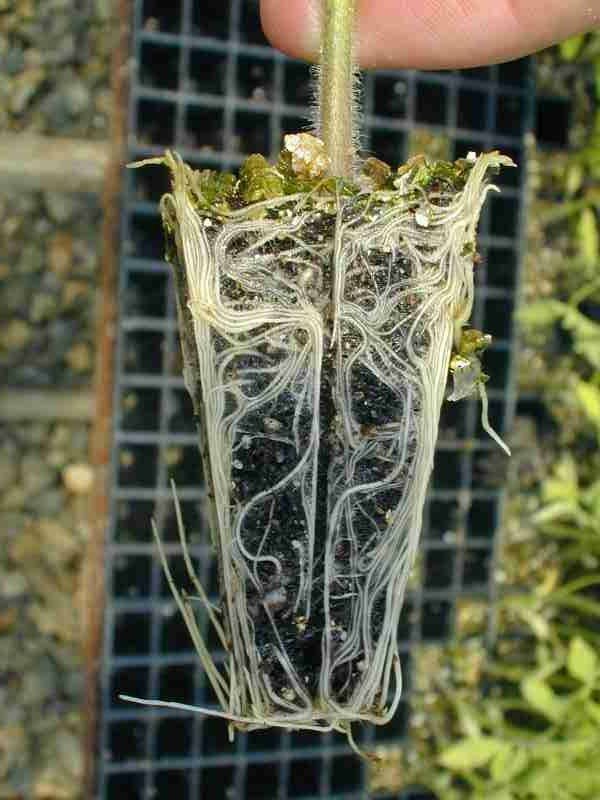 Cells have large hole for improved drainage, aeration and air pruning of roots. 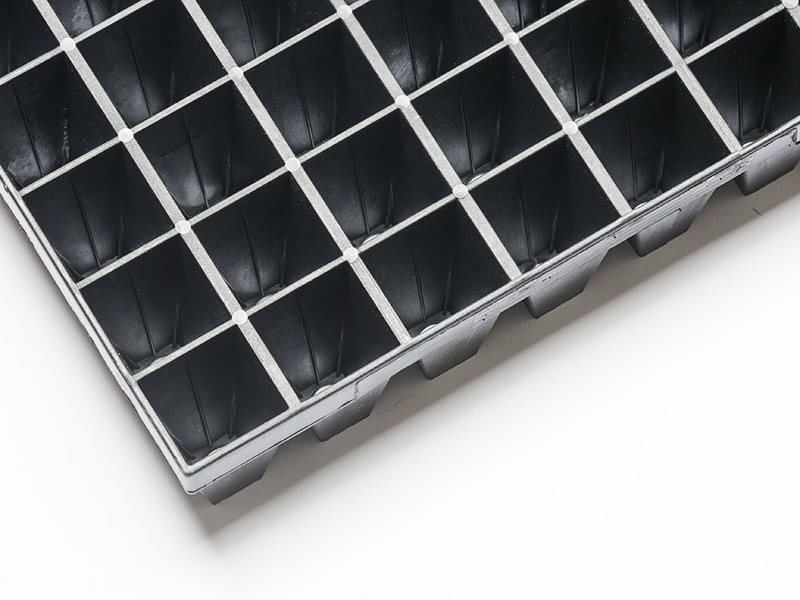 Strong but also lightweight – will outlast a Thermoformed tray by years. 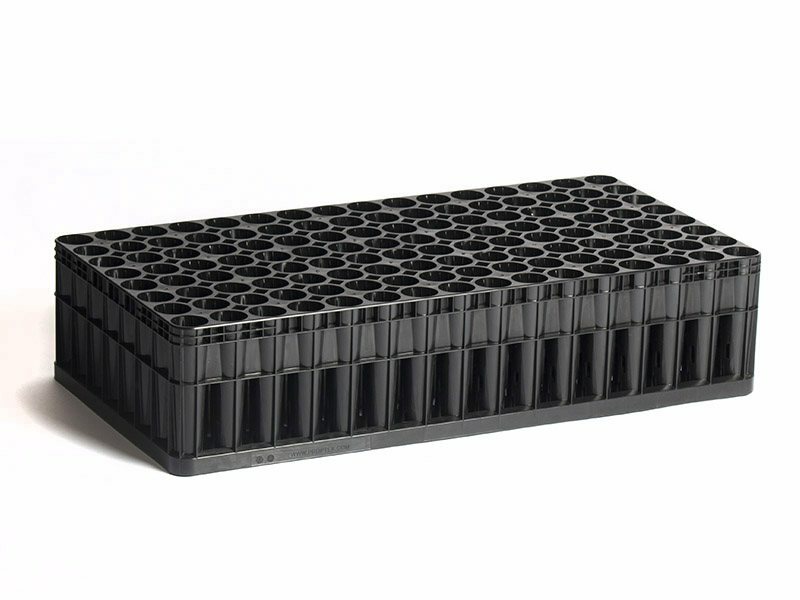 This 144 cell long life nesting vegetable propagation tray is quickly becoming the standard for peppers and fresh market tomatoes across the north eastern USA and Canada. 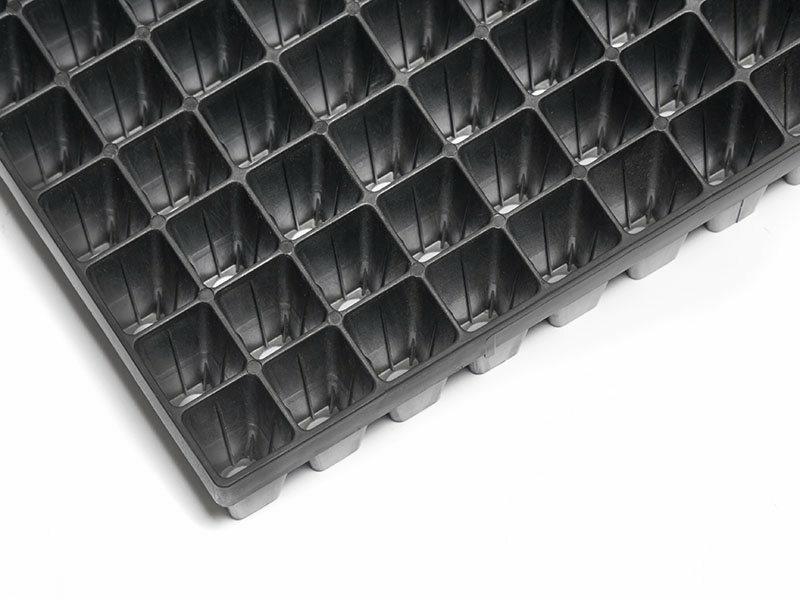 A versatile tray for growing a wide range of crops in a wide range of locations across the world. 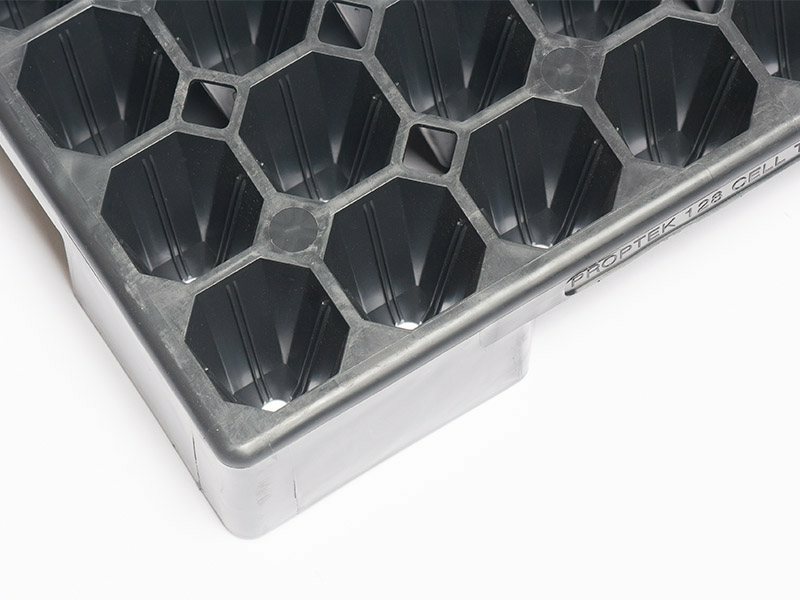 With a cell volume of 26cc, specially selected cell wall angle and Proptek’s root training and air pruning technology, plants are strong and healthy and pull easily time and time again. 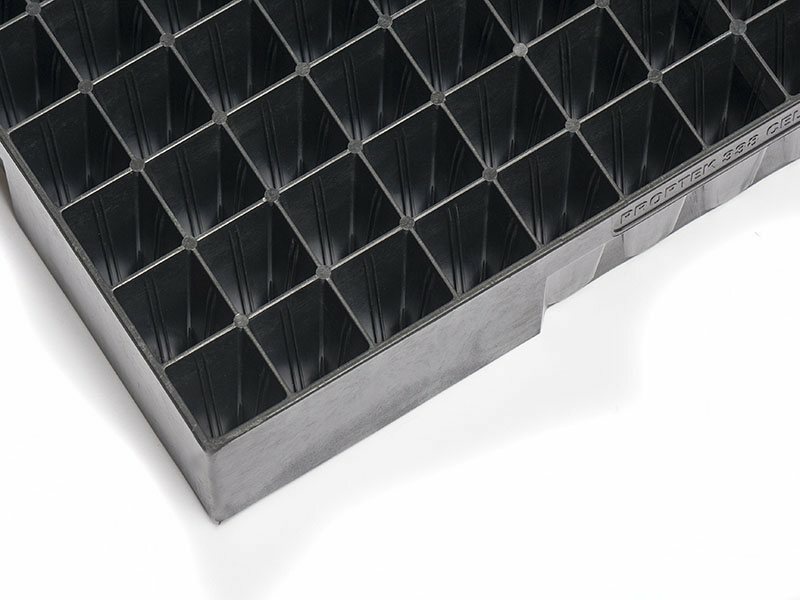 The Proptek 144 tray was designed to replace the equivalent sized (10×20”) 128 cell thermoformed tray. 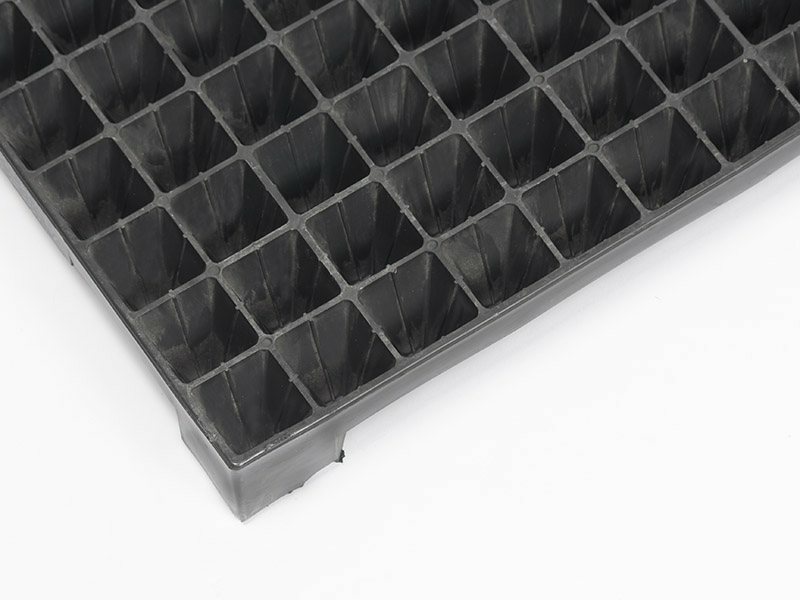 This is possible due to the injection molded design of our tray, meaning more plants in your greenhouse without compromising on plant quality. More plants means more profit at the end of the season. 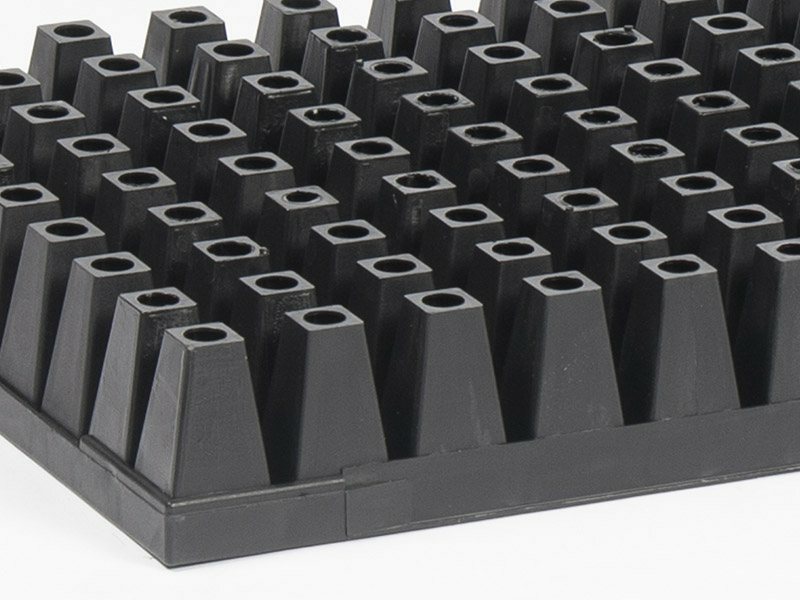 The injection molded construction also lends itself to other features, such as root training ribs and larger cell drainage hole. 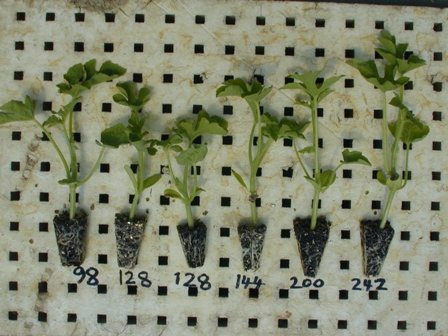 This means roots are better quality, circle less and can’t embed themselves into the cell wall – which all means a much easier plant to pull. 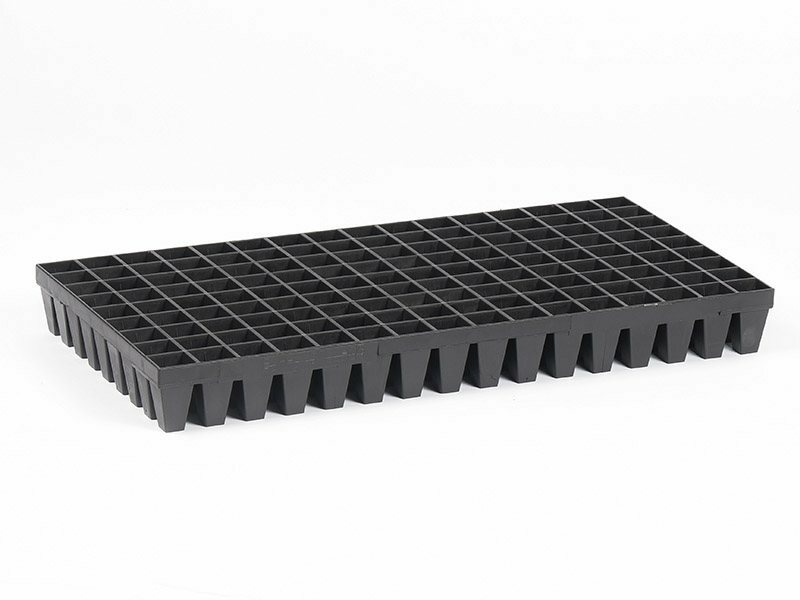 So easy in fact, that you can often pull a little earlier and damage the plant less than if it was at the usual time in a thermoformed or Styrofoam tray. 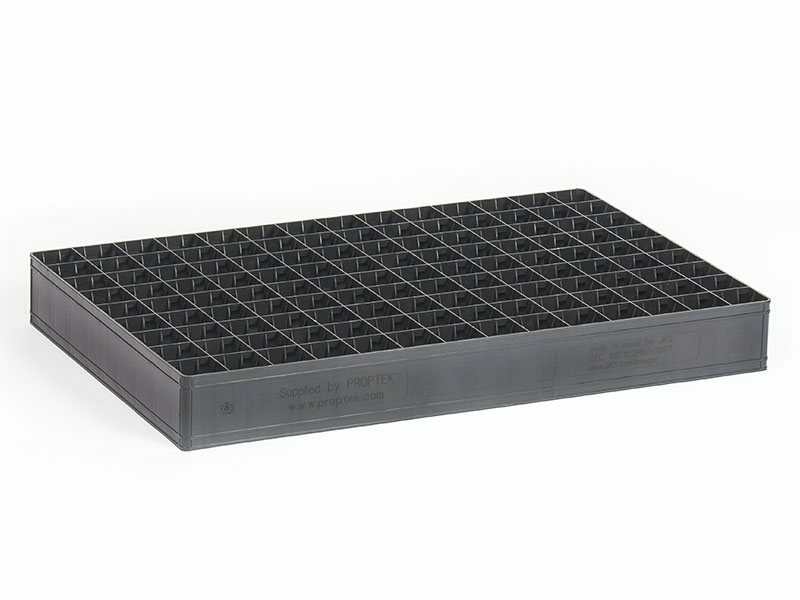 Trays can be steam sterilised with no negative effects on life of tray or plant pulling.